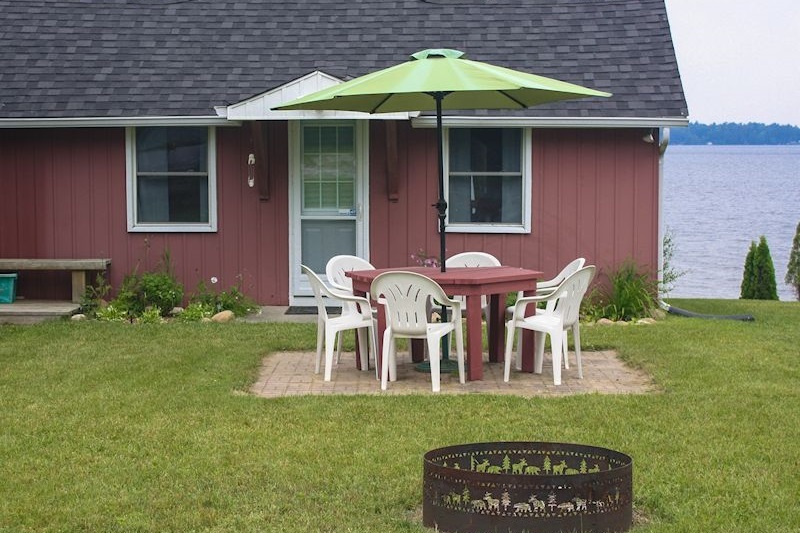 Whispering Waters is a great little cottage on the eastern shores of Cameron Lake just minutes from downtown Fenelon Falls. 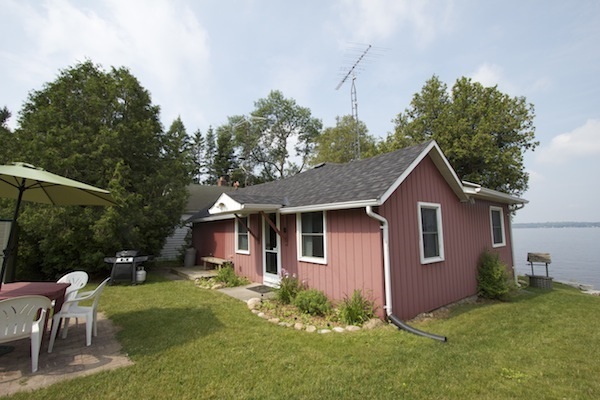 This is a perfect property for a family looking to get away, while not breaking the bank. 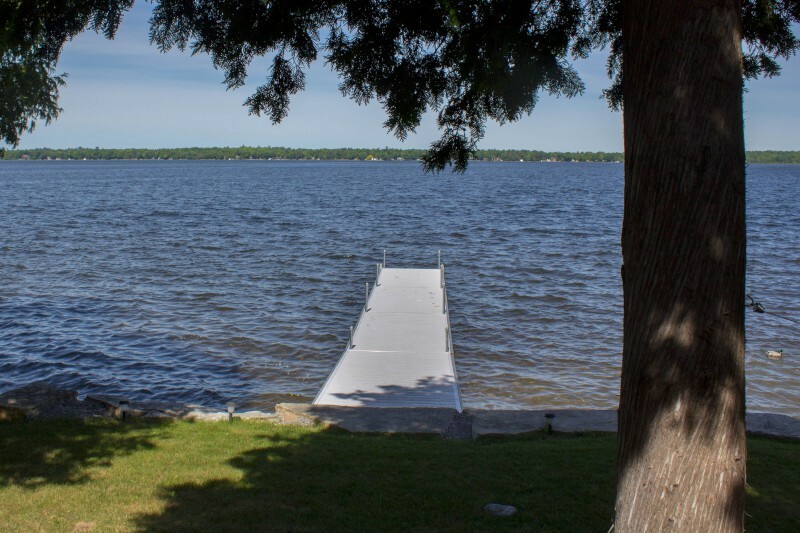 With beautiful westerly views across Cameron Lake and the best seat in the house for breathtaking sunsets this is the property for you. 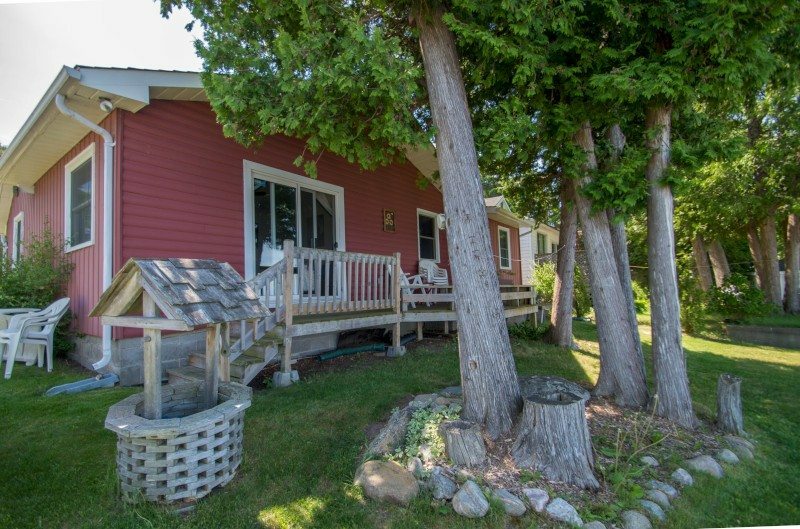 On a quiet dead-end road, you will find Whispering Waters situated in a small enclave of properties close to the old ‘Victoria Rail Trail’ that also forms the main B103 snowmobile trail in the winter. 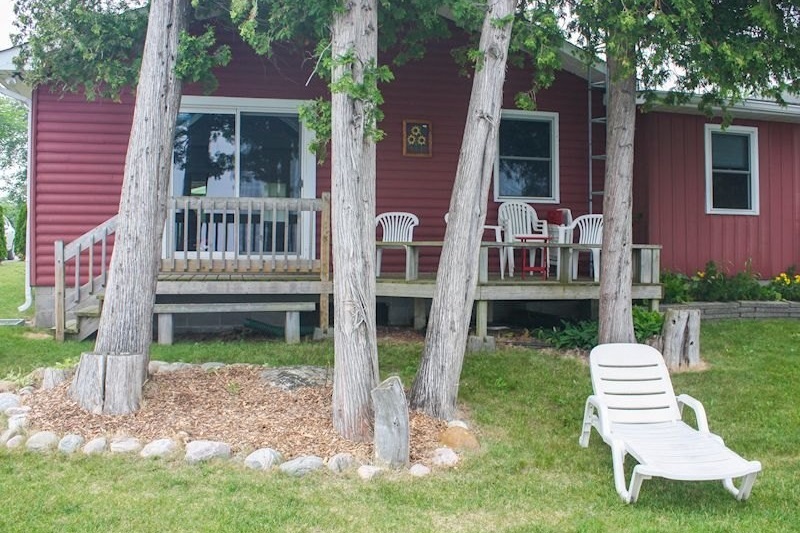 With great access for hikers and snowmobilers alike, if you are taking a break from the lake then this is great to have so close. 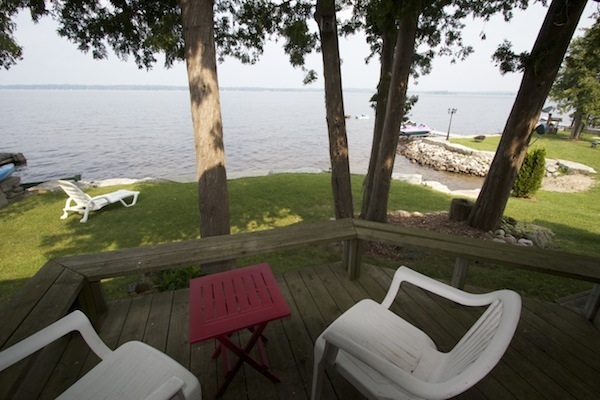 There is a nice lawn and garden on the lake-side of the property with a small deck and landscaped waterfront. 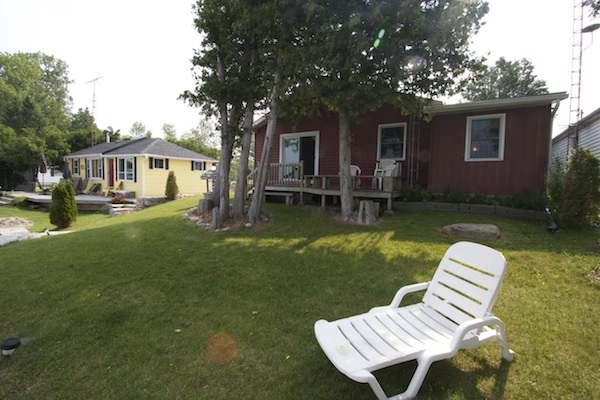 On the rear is a larger lawn with the outdoor dining and BBQ area for those cottage buffets. 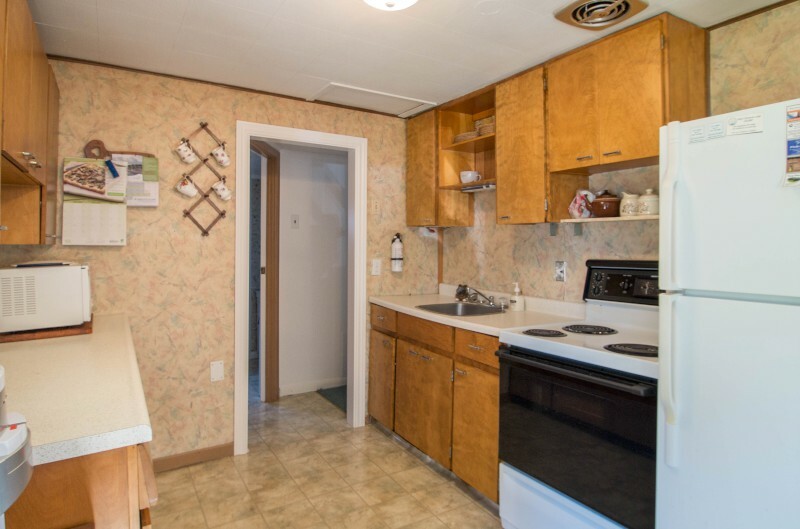 Inside the property, the kitchen, dining and living rooms are in an open plan concept that wrap around the property. 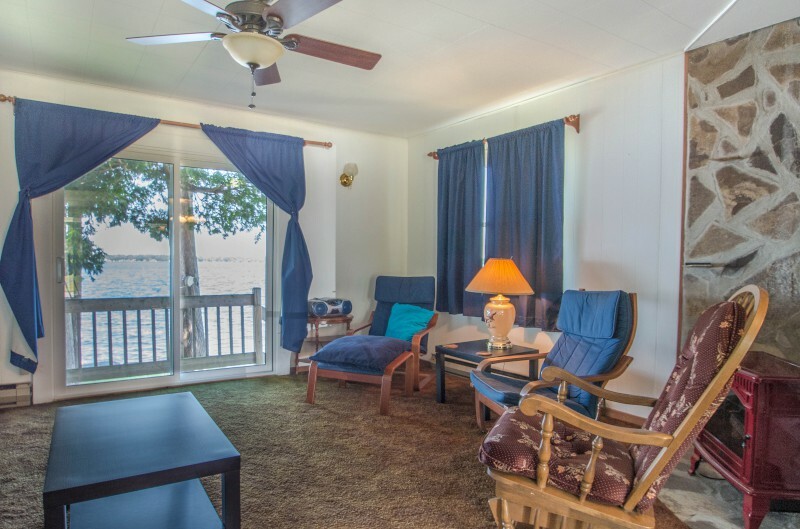 The 2 bedrooms on the lakeside have great views as you rise from your comfortable slumber. 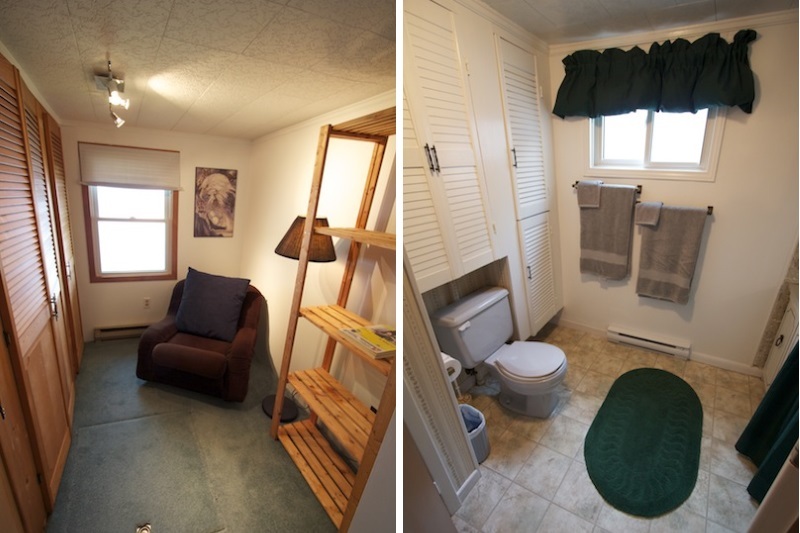 The Master has a double bed with a reading nook if you just want a bit of peace and quiet. 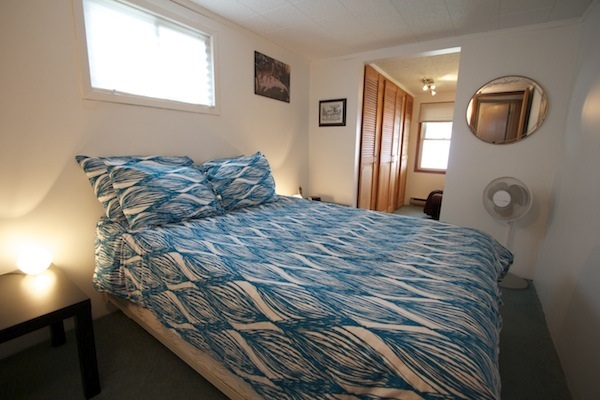 The other bedroom has two single beds. 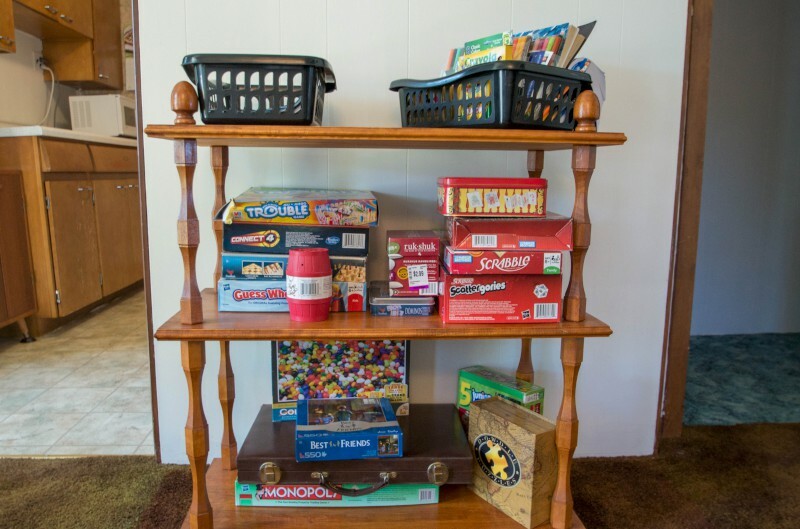 This arrangement combined with a pull out couch in the living room makes this property very flexible for different group compositions. 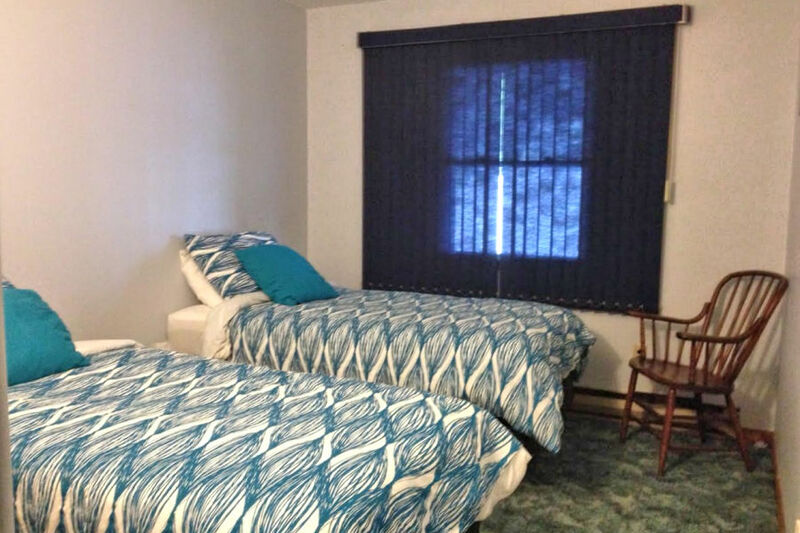 Linens are included with the property and you will find everything to be new and comfortable. 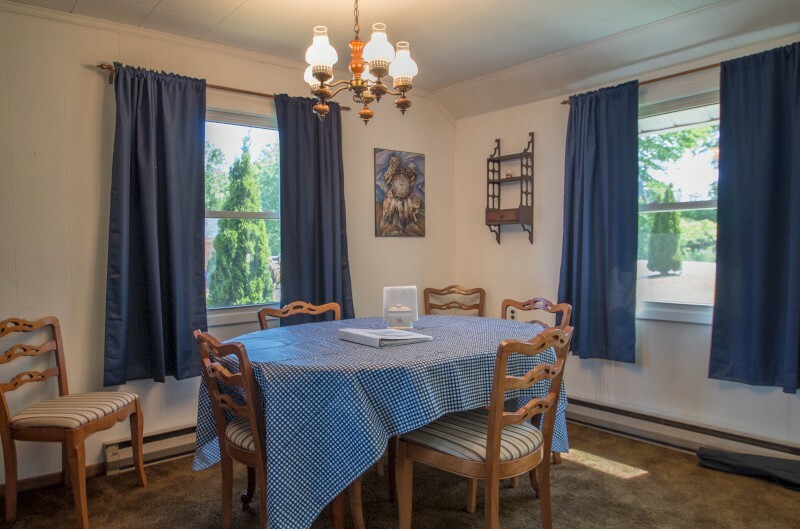 Also included with the property is a satellite TV package and wireless internet to help while away a few hours if the weather outside is not great or if you just need a break from the beautifully hot sun. During the winter months you can be sure to be snug and warm with the electric fireplace. 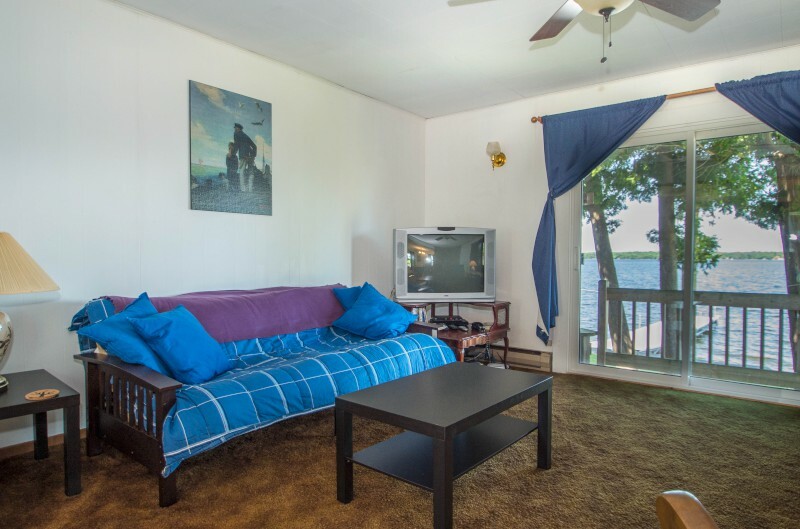 This property will be a comfortable base for your stay on Cameron Lake so don’t delay and come and enjoy the sound of the Whispering Waters. Well behaved dogs are permitted at this property. We're sorry, but cats are not permitted due to allergies. 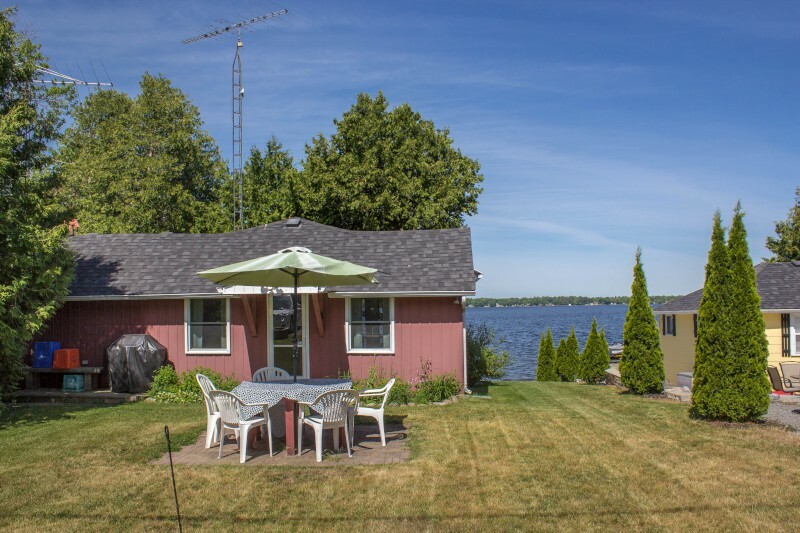 There is a small grassy yard between the property and the waterfront. 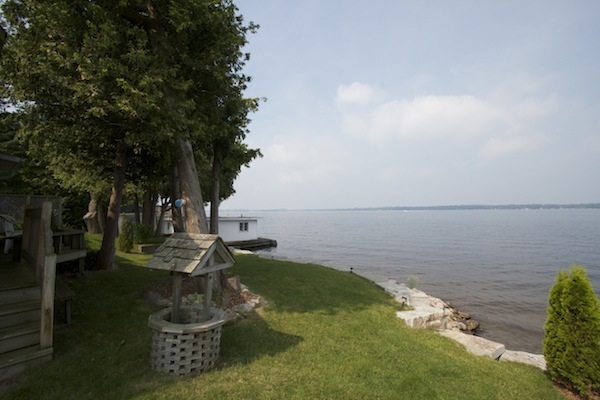 The waterfront is landscaped with giant flag stones and the wall has smaller rocks at its base. 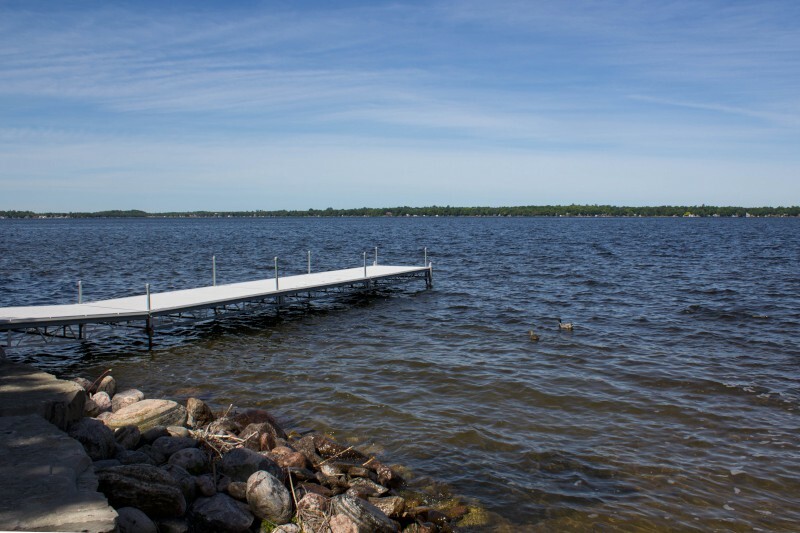 The main entry into the water is to the right-hand side where the grass leads down to 2 flagstone steps that step down into the water where there is hard-packed sand underfoot.